I agree 100%!! — I am actually already workng on a follow-up article to further expose the Blue Dogs for what they are: a “corporate safety valve” that protects the Dem establishment from having to actually adopt progressive policy. The Blue Dogs made up almost 25% of the Dem Caucus when the ACA was passed. They ensured that the Democratic solution would be a conservative, market-basd solution. They do this with all sorts of things. 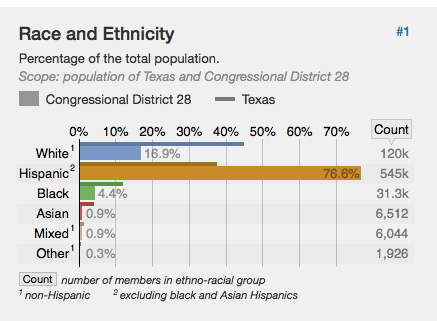 In 2016 Cuellar won by 25% in a district that is 77% Hispanic. You think that only a right wing conservative can win that District? Hell no. They just want to have a pro-corporate Democrat in that oh-so-safe Democrat seat. This District needs a Progressive. What it has is a conservative. Let’s help! The EuroYankee is a US Ex-Pat with dual US-EU citizenship, who travels Europe extensively, commenting on trends, attitudes, politics and more.